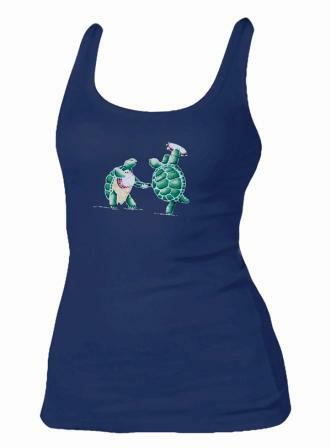 The turtles are jammin' at Terrapin Station on this Grateful Dead Tank Top. One of our most popular Grateful Dead t-shirts is now available in a wide strap women's Bella tank top. It's 98% combed ring spun cotton, 2% spandex sheer mini rib, has a flattering neckline with a longer body length and slim fit. Officially licensed Grateful Dead merchandise.